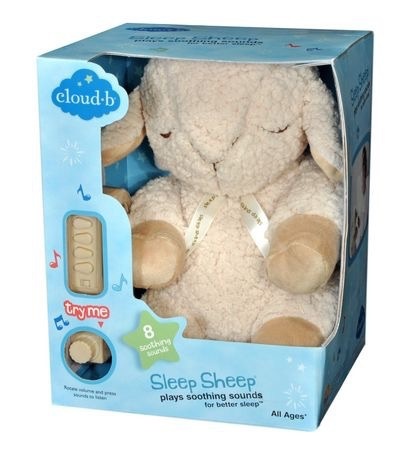 Sleep Sheep™ from Cloud B® is the perfect night-time companion to help soothe children to sleep in a safe, calming and effortless way. 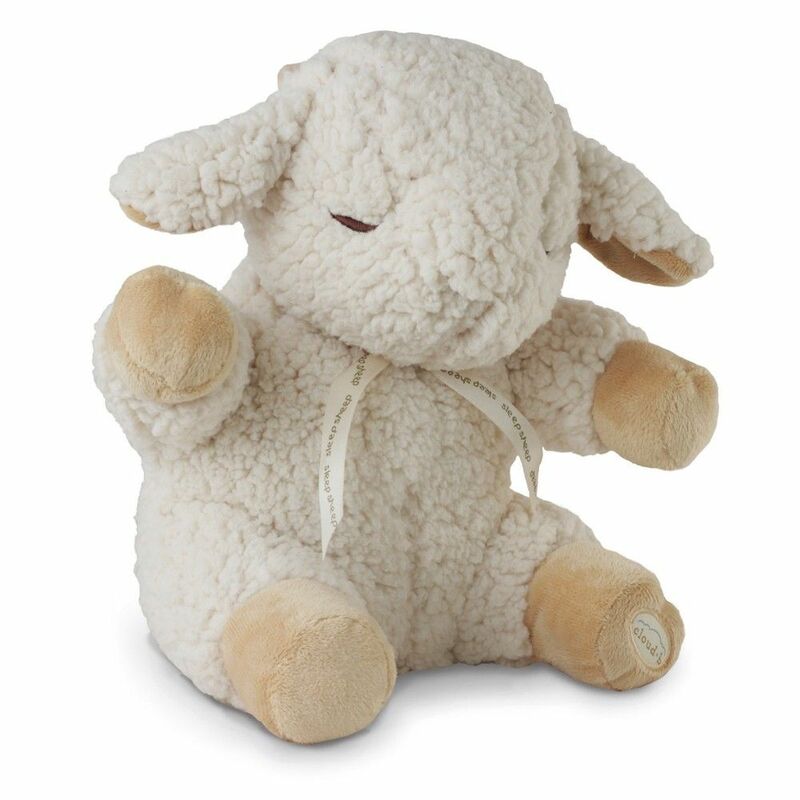 A sound box tucked safely inside Sleep Sheep™ lulls one to sleep with pleasant "white noise" - - soft sounds from nature and the reassuring sound of a mother's heartbeat. 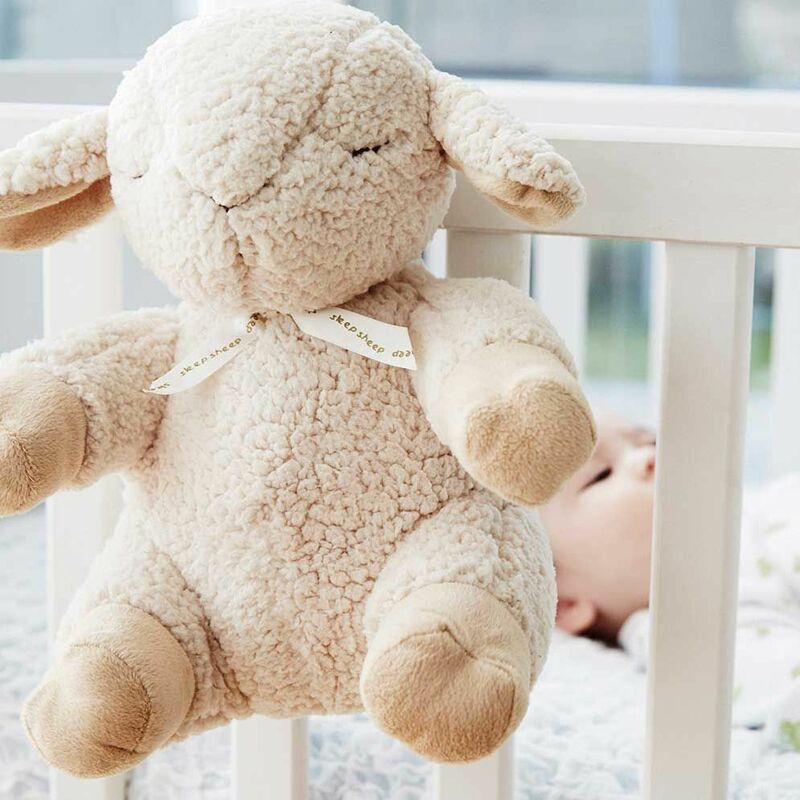 Sleep Sheep's soothing sounds are an audio pacifier that can calm even the fussiest babies to sleep. When babies sleep better, parents sleep better.